The Contest is closed, winners will receive an email! We are pleased to announce that we have teamed up with Packt Publishing and are organizing a give away especially for you. All you need to do is just comment below the post and let us know why you want to win a free copy of Windows Server 2012 Hyper-V Cookbook! A practical Cookbook bursting with essential recipes . To win the book leave a comment below why you would like to win this book. Winners resides in the USA or Europe, get a printed copy. Others would be provided with a eBook copy. The contest will close on December 17th 2012 12.00 CET. Winners will be contacted by email, so be sure to use your real email address when you comment! I’m currently looking for a new opportunity to kickstart the second part of my career. Since I’m running behind on Windows Server skills (by more than a few versions) this book would help me out a great deal. 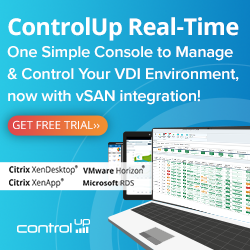 I’m fiddling with vSphere during my free time, but would love to be able to check our Microsoft’s answer to VMware which has rapidly evolved into a very robust virtualisation platform over the past few years. Cheers and keep up the good work with the blog! Busy reading and studding for the new Win2K12 exams, I could use some extra info regarding Virtualization via HyperV. As a VCP this cookbook might convert me to the MS side of virtualization. Recently, I’ve implemented SCVMM (Hyper-V) 2012. 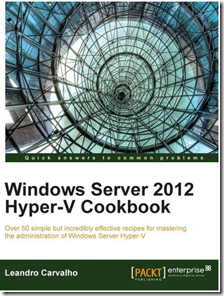 I’d like to know the nuts and bolts of the same, so it would be nice to have a cookbook on Win (Hyper-V) 2012. Fancy winning a copy of the book, because in my country access to quality information is very difficult, and this book will bring a great learning experience for my career. Thank you. A Mayan told me I needed this book to save the virtualized world from impending doom. With less than 48 hours left, I’ve got a Hyper-V v3.0 ziggarut built in the lab and now I’m in a hurry to win this book. The Mayan told me it’s either that or Vegas. I’ve been primarily involved in the VMware side of virtualization and would like a nice reference book to get a deeper dive into the MS side. I’d love to win this book because Hyper-V is the last realm I have to tackle. I am well versed in VMware and Citrix but just haven’t put the time in for HyperV yet and this book would jump-start that aspect of my learning. I would love to have this book to help broaden my knowledge on virtualization. I’m using VMware for 6 years now, and I’m curious about Hyper-V 2012. I’ll install it on internal lab to test it, and this book could help me to understand how it’s implemented. Pursuing multiple certification paths including Server 2012 and Hyper-V which is why I need this to make the best use of it for exam prep. Like others also interested, today’s primary focus is VMware but Hyper-V is more and more seen, need to train some skills…! Difficult to admit, but Hyper-V will gain some momentum, especially for small clients. The Windows Server 2012 has some really good stuff under the hood. So as an Independent consultant it will pushes me to learn Hyper-V and W 2012 as well, even if I still consider VMware as a leader in overall. I’d like to widen my horizon futher than VMware, and while I’m also an MCSE it’s the old certification from the last millenium! This book looks like a good place to start. I would like to get this book to help broaden my knowledge on virtualization. I have support both VMware and Hyper-V. Lately, my support work has focused more on the VMware 5 side, but I will need to support Windows Server 2012 here soon. I would like to get this book so as to know on Windows 2012 Hyper-V technology compared to VMware’s . We will soon be implementing SCVMM (Hyper-V) 2012. I’d like to know the nuts and bolts of the same, so it would be nice to have a cookbook on Win (Hyper-V) 2012. As Vladan said above, Hyper-V has reached a certain maturity and smaller shops & SMBs will be interested in the pricing options vs VMware. I work in a country where most of customers and prospects are SMBs and our typical installation is a 3-host, Essentials+ based platform. I would value this book as a way to understand the Hyper-V architecture and see how to properly answer to customer demand which will certainly increase in regard to Hyper-V 2012. And probably the book is really useful for system administrators and architects too! Many of my SMB customers are based on MS products and I would like to be able to offer them an MS based virtualisation solution. Always been a vmware man but hyper-v has grown and grown until now it really is ready for prime time – I would like to win a copy of the book so I can study hard then go forth into the wide world and sow hyper-v instances wherever I can !!! The Contest is closed, winners will receive an email! Thanks for participate! I have to learn 2012 Hyper-V to teach other people in my company. So I was looking for good material. Thanks! !